So does drinking the Cherry Coke while I made my friend's birthday card count? Her favorite color is burgundy. Wine may be pretty close to the top for her beverage of choice too. I used the same 3D die technique as last week's dragonfly. This is also a Spellbinders die. Sorry, no actual wine here. I used Copic Multiliner in Wine for the ink color. Shading is with Faber-Castell Polychromos and graphite pencil. The black ink a Sakura Pigma Micron. After completing the tangle, I mounted it on burgundy cardstock (shaded with copics to try and match the color) and then mounted on an A2 card base. The nice thing is it will lie flat for mailing and the wings easily pop out for the 3D effect. 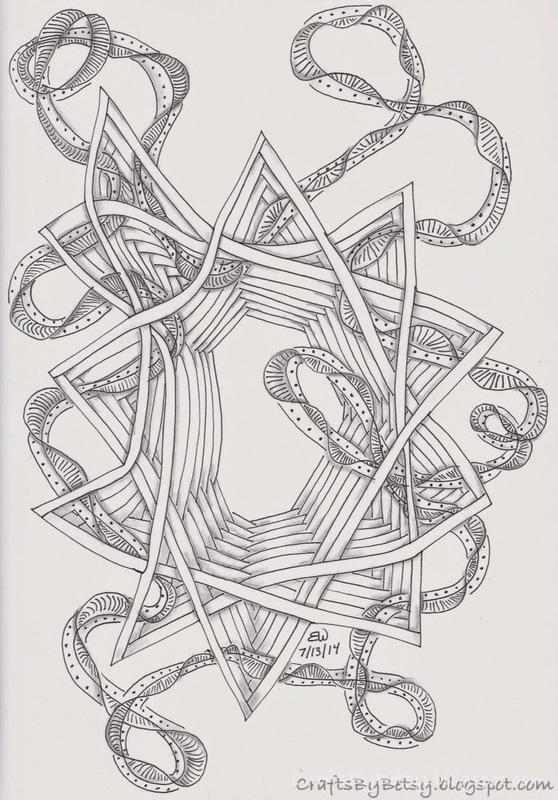 Here is another no tangle card using the same technique. 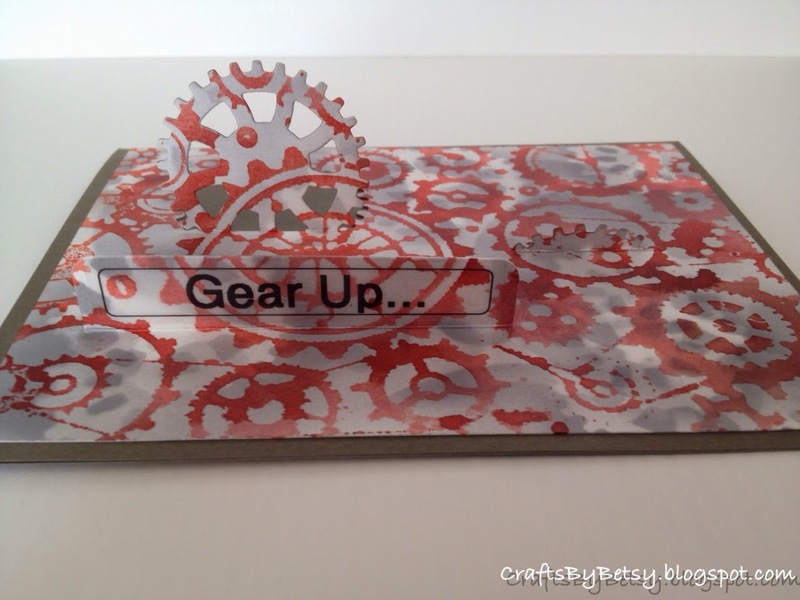 Dies by Spellbinders (gears) and Sizzix Hero Arts (caption rectangle). I used a Cuttlebug embossing folder as a stamp and inked with a Big and Juicy rainbow pad before using additional die cut gears as masks or stencils and used copic markers with an airbrush. Best of all, I used my P-touch label maker for the sentiment....why hadn't I thought of that before? 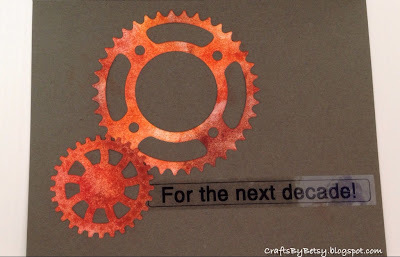 And finally, just wanted to share this Auraknot, Organza Again drawing from my art journal. Wonderful card with lovely colours and this pretty butterfly! Nicely done! The butterfly card is amazing! And I added you new tangle pattern to my book just the other day. Love it! Beautiful ZIA. Like the butterfly. Congratulations on getting your pattern on tangle patterns. People I know who have had this happen get hits on their blog long after the original post. Love the butterfly and choices of patterns - awesome color. Also, congrats on the stats! 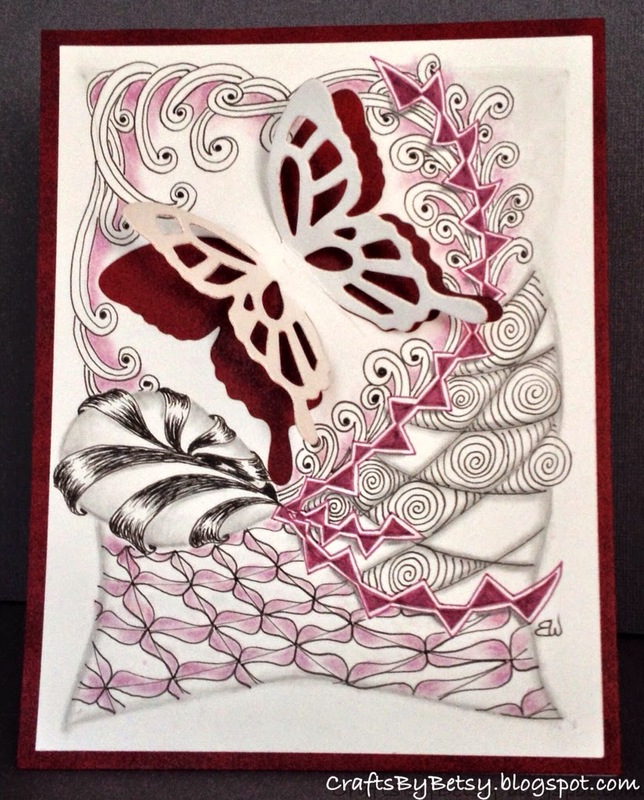 you were certainly inspired by wine - I love the butterfly - I watched the video you posted last week and I think I'm going to try the technique because your butterfly is gorgeous. Nice work. Your card is so very lovely!